Floating is an act both active and passive. To float is a natural function of the human body, and one that in more turbulent waters can require a profound struggle. If the current climate in this country were likened to a body of water, it would be a murky depth filled with unpredictable and inexplicable dangers. In this context, buoyancy requires perseverance and a drive to survive. float is the debut exhibition of four new artist members at NAPOLEON – Ava Hassinger, Katie Locke, Daniel Oliva and Ricardo Zapata – artists who are questioning perspectives and suggesting methods of manifesting untraditional ways of seeing. 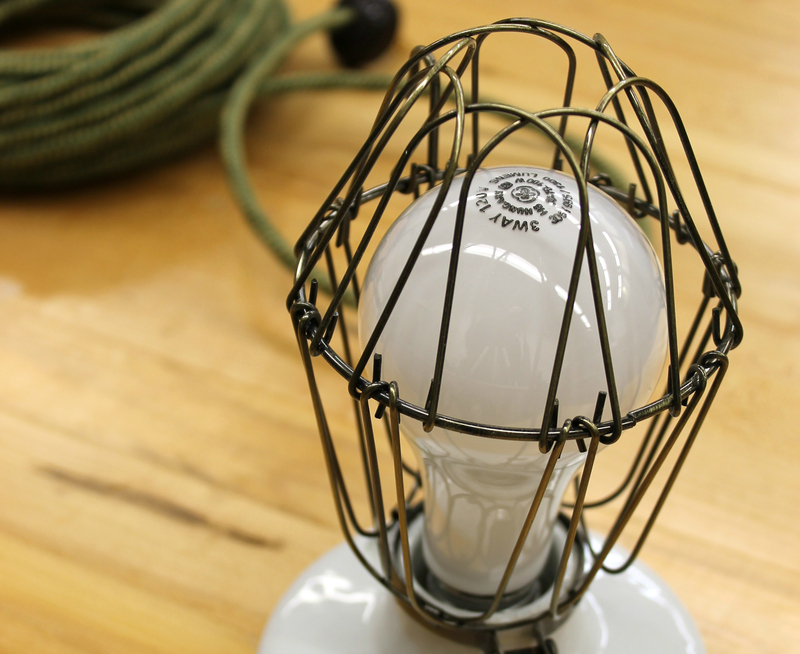 And as new members, they are also testing the waters, presenting an introduction to their work to the community here – floating an idea, so to speak. Most of the work included in float is quite new, representative of fresh investigations and reinterpretations of previous explorations in their work. With his new sculpture Impetus (top image of essay), Ricardo Zapata draws from a number of consistent themes in his practice: activism, displacement, and hope. In its conjuring of wide-ranging cultural imagery – from the quintessential 1960’s activist tie dye to futuristic silvered surfaces – it operates simultaneously as a vision of a crime scene and a site of eternal renewal. The partially submerged hoodie blossoms into an iridescent orb of continuously flowing water, surrounded by reflective pieces of debris and plant life. The piece challenges a binary interpretation of events by offering a symbology that presents alternative narratives for deconstructing an emotionally and politically charged event. 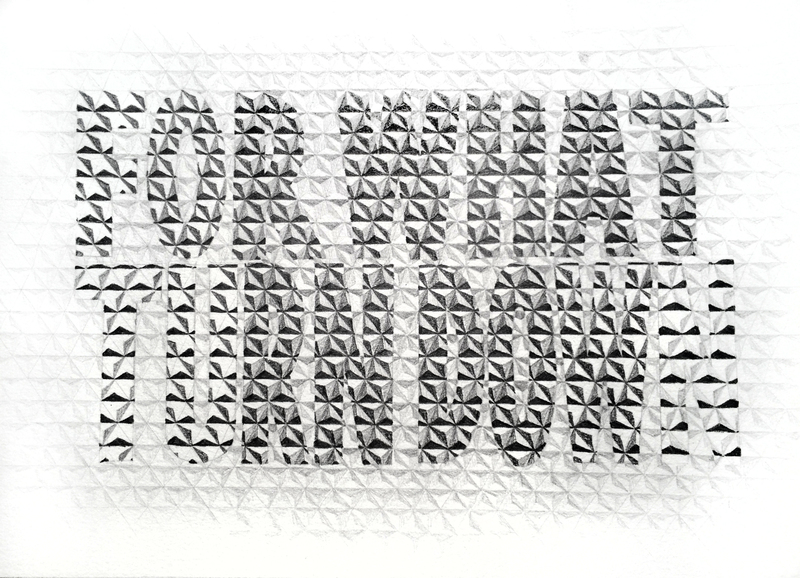 Zapata’s other work in float, Way Up appropriates the iconic hip hop chorus “Turn Down For What” as part of a topographical graphite drawing of what could be a surface designed by Buckminster Fuller or the commercial quilted patterning of a paper towel. The words undulate weirdly on this complex surface, monolithic in their intensity. Zapata’s past work has engaged with the specific history of cemeteries in urban spaces, as islands of peace and thoughtful reflection in the face of the turbulent political climates of urban spaces. As an allusion to this history, Impetus recognizes how we, as a culture, remember deaths that resonate within larger narratives, while prompting the viewer to consider what monuments can – and should – signify in our culture. Fresh from a residency at RAIR, Ava Hassinger introduces The Legacy Series, a body of work that examines the lifespan of personal property and its ever-changing interpretative significance. Working with a collection of her grandmother’s waterlogged and molding photographs, discovered in her mother’s basement in 2015, Hassinger presents printed scans of these relics, which focus on the new identity the photographs embody in their altered state. 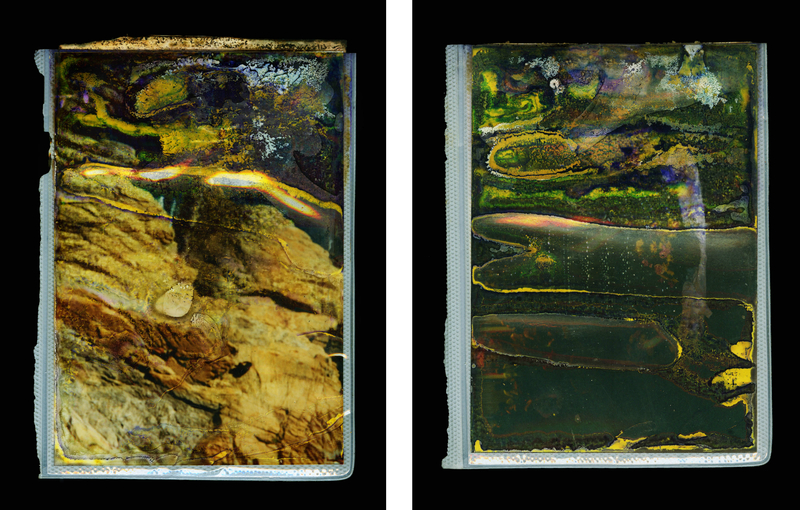 The fungus growth and chemical reaction to water that occurred on the surface of these photographs – some with links to identifiable locations, most completely transformed by decay – has turned them into biomorphic abstractions within jagged photo album sleeves. No longer mementos of family gatherings, they reference new times and new places, perhaps alternate realities. The prints are crisp and bright, a psychedelic ooze of color and texture that feel cosmic, like visualizations of metaphysical phenomena. Beyond the simple act of re-presenting destroyed material as an aesthetic experience, Hassinger offers these photographs as a totem for lost objects and an opportunity for their resurrection. This forgotten familial narrative is given new life through abstraction, as images that speak both to the detritus of modern life and the profound nature of an accidental chemical transformation. After taking a leave of absence from the studio after her 2015 graduation from University of Pennsylvania’s MFA program, Katie Locke presents two new paintings in float. In her return to the studio, she continues to engage past themes while moving into new territory. 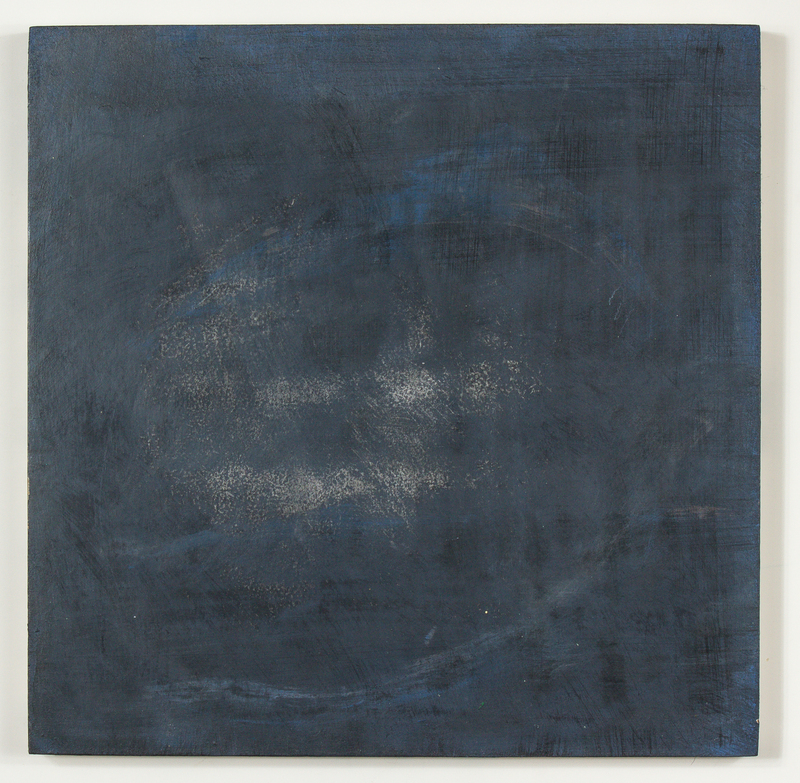 Older paintings reference the framing of a camera or computer screen by occupying a square format and larger scale. In Hug Me, 1 and Hug Me, 2, the smaller scale highlights the object-ness of the paintings, which appear less concerned with the drama of the space they occupy, and grow from the flat space of methodically treated surfaces. A fogged, subtle drama emerges from Locke’s smooth panel platforms. Central to her practice is the concept of intuition, both in direct relation to the act of painting and to a literal embrace of precognitive visions. The artist’s mother and aunt both identify as psychics, and her understanding of these phenomena in relation to her own experience motivates her work in different ways. 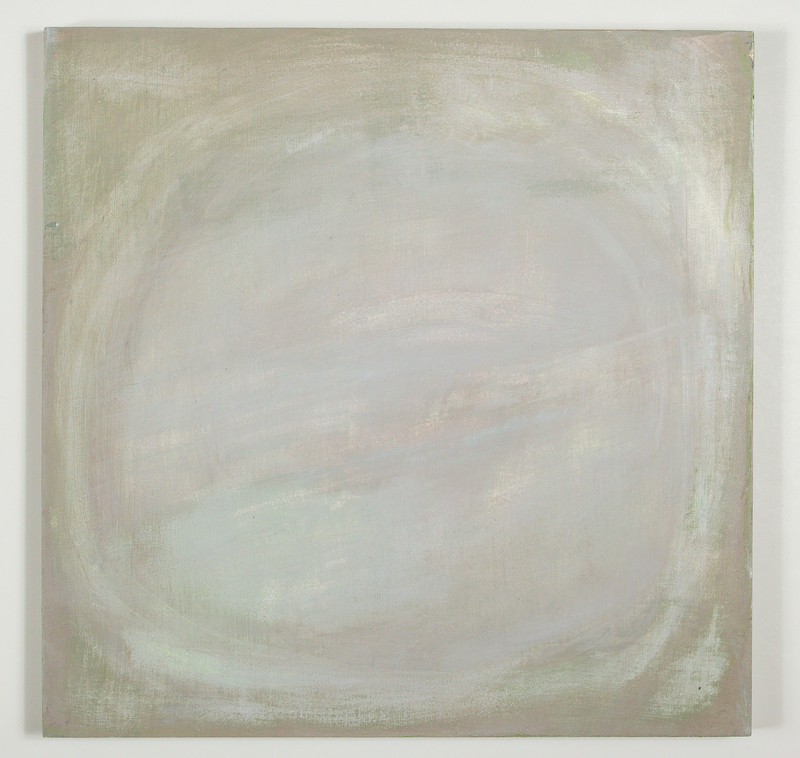 Avoiding a direct link between spectral imagery and the ghostly quality of her paint on surface, her work seems always probing at the acts of revealing and concealing. They operate as unassuming portals, windows into a nebulous beyond. The work is suggestive and open to multiple readings, always implied and never direct. Daniel Oliva’s work centers on recreating intimate moments in history to reframe these moments of particular interest as a vehicle to explore current cultural and political dynamics. With a specific focus on social identity, Oliva uses historical figures and personifications as foils to imagine recreated narratives on a more intimate scale. In Momentarily, Aaron Burr, the protagonist checks his watch before the fateful duel that ended the life of Alexander Hamilton. 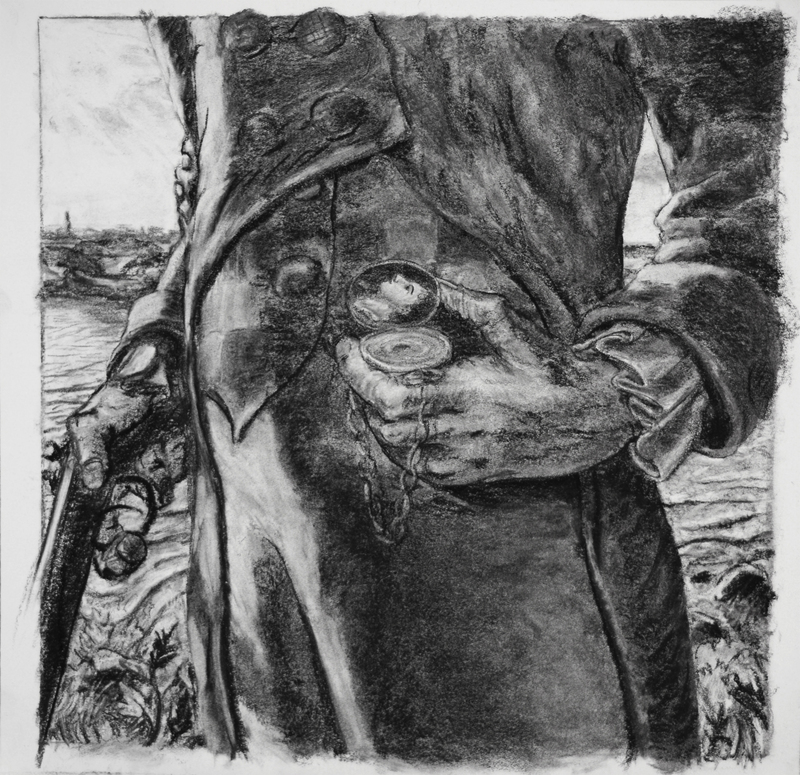 The scene is cropped to only show Burr’s hands and gun in an almost nostalgic vignette of a soon-to-be violent event. Oliva’s compositions call to mind folk art, with their flattened perspective and magical realist flourishes, emphasizing a focus on re-imagined narratives. 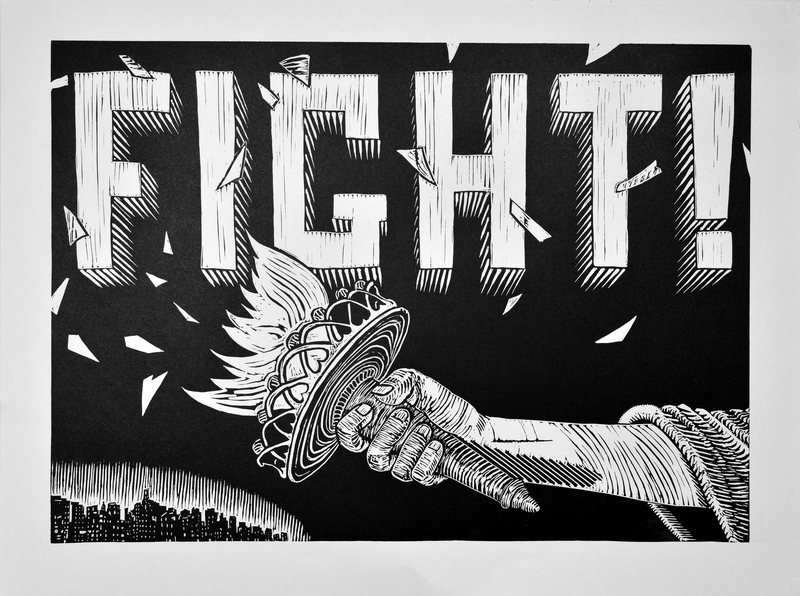 In Ready to Fight, a linoleum print edition created for float (with proceeds from sales going to the ACLU) the Statue of Liberty swings her torch like a weapon over propaganda-style drop cap letters spelling “FIGHT!” Somewhat of a departure from his other work, this piece is a confrontational call-to-arms. In using his platform as an exhibiting artist to support direct action in the form of donation to a political group, it is also representative of Oliva’s concern with social and political conflict. Both pieces are compositionally focused on human perspective, with a close-cropped, intimate focus. The artists in this exhibition have chosen the title float to function as a unifying platform on which to operate. The word applies both literally and figuratively to the work at hand. Things float and sink in Zapata’s aqueous sculpture, and water represents both death and new life in a flowing fountain. There are physical signs of water in Locke’s fluid paintings, where the compositional flow takes on an orb-like form. Water “damage” played an active role in creating the images that Hassinger presents, where the surfaces now appear to undulate perpetually. And there is a demand for solidarity and perseverance in the spirit of Oliva’s protest prints, urging us to rise above. As a metaphor, it lends itself gracefully as a thematic between these four individuated artists. Each is investigating change and adaptation in some form – political, spiritual, physical – and acquiescing to the shifting waters around them. About the Author: Samantha Mitchell is an artist, writer and educator. She lives and works in Philadelphia.